The beach at Porth Nanven is really quite unique. I’ve certainly never visited a beach like it. Large dinosaur egg sized pebbles litter the beach. These have tumbled from the cliff face where you can see other huge pebbles just waiting to fall. These ‘pebbles’ acquired their smooth surface by being bashed together in violent storms around 125,000 years ago. 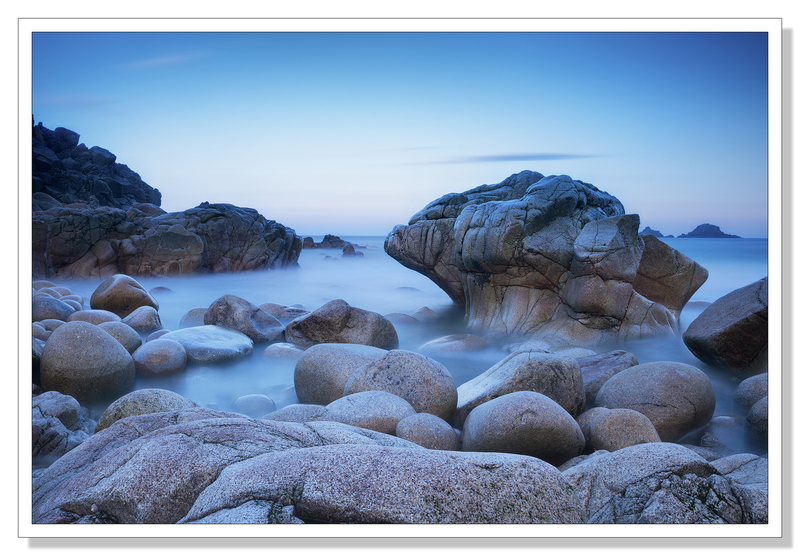 The present high tide mark at Porth Nanven is much lower than it was 125,000 years ago. An upward tilting of land, following the removal of the ice caps from northern Britain following the last ice age, resulted in the ancient pebbles and rocks being left high and dry. This formed the raised beach which is now the cliff above the present tide mark. Storms have exposed the vertical face of this raised beach revealing these wave worn boulders and pebbles in a matrix of mud and sand. It’s certainly not a good idea to stand around under the cliff as more giant pebbles could tumble down to join the others on the beach at any time.